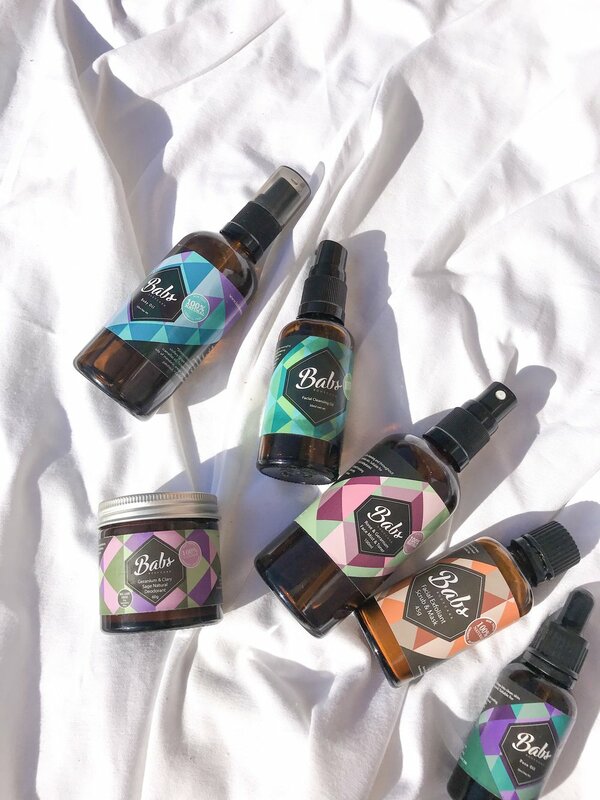 The Babs Bodycare range has expanded to products that founder Andrea and her hubby, Matt, use everyday. Multi-purpose and highly effective oils and balms which are gentle, easy to use and above all natural! Works by neutralising the odour causing bacteria without blocking pores with nasty ingredients. This allows you to sweat and expel toxins but keeps you smelling fresh. Andrea has created the ultimate natural deodorant paste. I have sensitive armpits, so all the natural bicarb deodorants I was testing, caused me major irritations, if you suffering with the same problem give this a go.. it keep me feeling fresh, I apply a pea size amount twice a day. I love the smell of sage & geranium as well it's perfect pair. I leave my tub in a warm space so its easier to apply.. otherwise it's rock solid and you have to warm is up in your finger tips. This is a 2-in-1 cleanser & make up remover. The gentle mix of natural botanical oils cleanse and remove dirt, impurities and make up. Unlike harsh cleansers which can strip the skin of its natural oils, our super gentle blend of nourishing plant oils help to cleanse and detoxify the skin and remove dirt, to leave skin soothed and hydrated. This was my favourite product of the bunch, after reading the ingredients I was so excited to play with it! Well well let me tell you, it worked wonderfully taking off makeup - especially the eye area it was super gentle - I applied a few pumps to a cotton pad worked a treat! For an overall cleanser, this is game changing it's so simple & but so effective.. the earthy oils just pull all the buildup on your skin to leave you glowing & clean... I will be repurchasing every time! Used as toner or a refreshing face and body mist. Rose and Geranium floral waters help tone skin and tighten pores. You know the way to my heart is anything with rose in it... I'm starting to grow a collection. I just can't get enough &&&& the combination of Geranium!!! oh gosh!!! I'm one happy lil lady. This should be a staple in everyone's skincare routine, it's so necessary and makes such a difference to your skin. I really love that all Babs Bodycare products are in glass amber bottles so I know every spritz is packed with the ultimate benefits. A fine blend of vitamin rich plant & clay powders gently work to cleanse, remove dull and dead skin cells to reveal youthful, glowing skin. Antioxidant packed Kakadu Plum and Rice powder work to brighten, purify and even skin tone. Silica rich bamboo promotes and maintains healthy skin. Yellow Australian Clay sloughs away dead skin, draws out impurities leaving skin tightened and toned. This is beautiful product, I love when a 2 in 1.. dont you? I was really impressed by the ingredients list, it's packed with nourishing high performing antioxidants. My skin was noticeable brighter & looked very even. This luxurious Face Moisturiser is a blend of highly nourishing and deeply hydrating botanical plant oils including Rosehip, Hemp Seed and Avocado. Woweee, this is my kinda oil blend. PURE MAGIC! I apply morning & night also add to my makeup to give it an extra dewyness, I love the earthy scent as well. This leaves my skin plumpppppp & radiant, all I ever want! it's a perfect staple oil with all the high in essential fatty acids along with anti inflammatory properties. Feed and nourish your skin with our blend of hydrating plant oils. This non-greasy, fast absorbing body oil provides deep hydration to moisturise your skin while keeping it smooth, healthy and glowing. This product turns me into a delicious citrus fruit, with the added love of essential oils like mandarin & orange.. It's awesome! It's now apart of my nightly routine after my shower, I look forward to applying it all over my boddaaay. It's non-greasy but still super duper moisturising that's def what I love about it! Overall, I loved all 6 products & will be repurchasing when I run out. I adore how much care Andrea has put into selecting each ingredient, they all play a major part in the performance which I appreciate rather than filling a product with cheap fillers. My skin feels fresh, dewy and radiant, I really happy with the results. Plus her products are super afforable and come in different size options which makes it easy for customers to play around with the products.